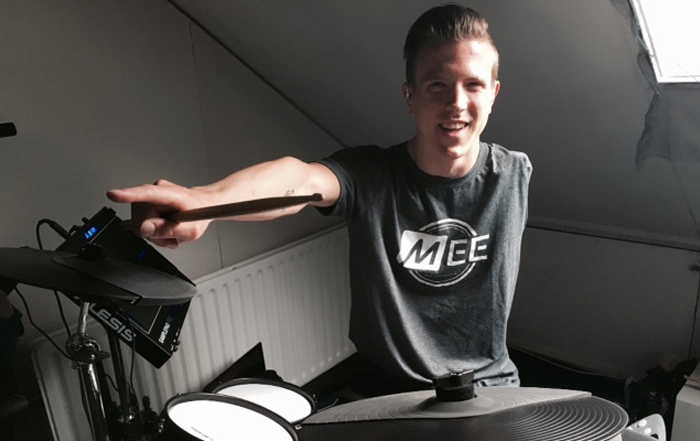 Alex Wegman, better known as OneArmed, is a live musician and producer from the Netherlands. Music was always his passion since he was a little boy and his dream was to make music his full-time job. He mainly played the guitar but also piano, organ, keyboard, and drums. Something happened in July 2008 that changed his life completely. He was diagnosed with bone cancer in his left arm and in October that year he had to choose between his arm or his life. In fact, it was no choice. Since that moment, he went through life with only one arm, but he couldn't let go of the music. He started to find new ways to play and make music, like playing the drums with one arm. Now OneArmed is working on his career as a professional musician and producer. His dream is to show the world his passion and to share his own (electronic) music as a live act in the club. For OneArmed, giving up is not an option and he is determined to fulfill his dream.